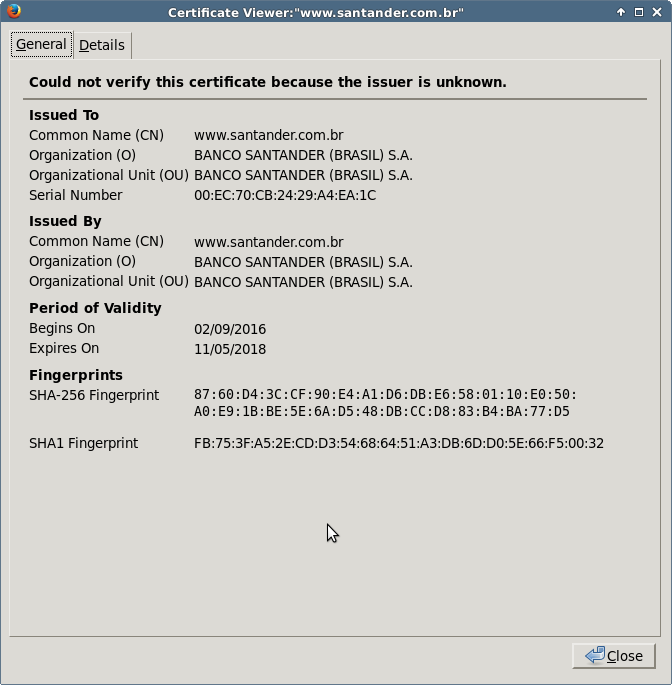 And since Santander is not using an Extended Validation ("green bar") HTTPS certificate, there probably are no visual clues to the victim. 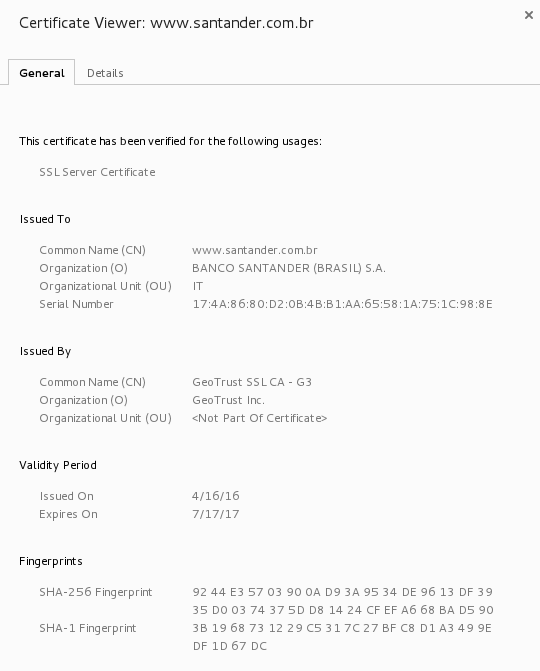 I suspect that's because they have almost sixty Subject Alternative Names on that cert so they decided to save some money. But not to worry, their little padlock next to the Internet Banking login fields will still be there. automatically puts those DIRECT sites into the Local Intranet zone. So if you have a PAC file with multiple sections that decide how to handle multiple sites and some are on the Internet, those "DIRECT" Internet sites automatically run as Local Intranet. Automatic Logon by passing Windows creds, lowered security settings, etc. So what that malware also does as a side effect, at least from an IE/Edge perspective, is to cause every other website that the victim visits to be placed in the Local Intranet zone. On the positive side, many of those annoying warnings about security problems will just go away. This could actually be the only case where a website loads cleaner in IE/Edge than it does in third-party browsers. So what are you recommendations as far as what we can do to best handle all these different types proxy configuration threats - pac scripts, wpad mitm, etc? I know this is a windows hack, and I can't confirm right now that it isn't the case on windows (Though I would be very surprised since "DIRECT" just means "continue as you would (directly) without a proxy" but CERTAINLY it is not the case on a OSX or Linux box that the "DIRECT" directive has this effect. "(WPAD) Proxy Script. If the user’s proxy configuration is “Automatically detect settings” or “Use automatic configuration script” inside Tools > Internet Options > Connections > LAN Settings, the browser will run the FindProxyForUrl function in the specified WPAD proxy configuration script to determine which proxy should be used for each request. If the script returns “DIRECT”, the browser will bypass the proxy and the site will be mapped into the Local Intranet Zone." That's not the one where I originally found it but it is validation. Pretty ugly, huh? You missed but the "PS:" your fellow handler Duncan now adds regularly: on a properly administered Windows installation, execution of arbitrary executables is disabled for standard users via AppLocker or Software Restriction Policies, so this type of malware is almost harmless there. Additionally: whoever sends a .RAR archive to Windows users is an idiot! He'd better use an archive format which Windows can handle out-of-the-box. 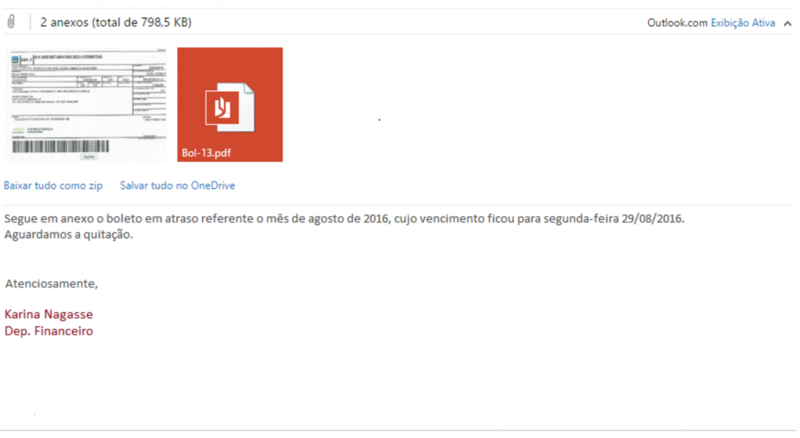 I had the same thoughts on the use of the .RAR format but perhaps this was targeted or perhaps that format is more popular in Brazil than the US. Since it appears targeted to home users, there's no such thing as a properly administered Windows machine. In a corporate environment where the admins didn't take the easy way out by using a transparent proxy, it also would (should) fail by changing the corporate proxy settings and breaking Internet access entirely. I've seen many phishing emails in French on the start of this week with .RAR payload not in attachment but with URL.